A new rule adopted by the National Football League prohibits players from kneeling during the national anthem, a move the NFL hopes will put an end to the widespread, albeit peaceful, social-justice protests that overshadowed many regular-season football games last year. Under the new policy, players are permitted to stay in the locker room during the anthem, but those who are on the field are expected to “stand and show respect for the flag and the anthem,” according to the statement. Teams whose players don’t follow the rules will face fines. At least one team chairman–Christopher Johnson of the New York Jets–has vowed to back players’ right to protest despite the threat of fines. “I never want to put restrictions on the speech of our players,” he told Newsday. 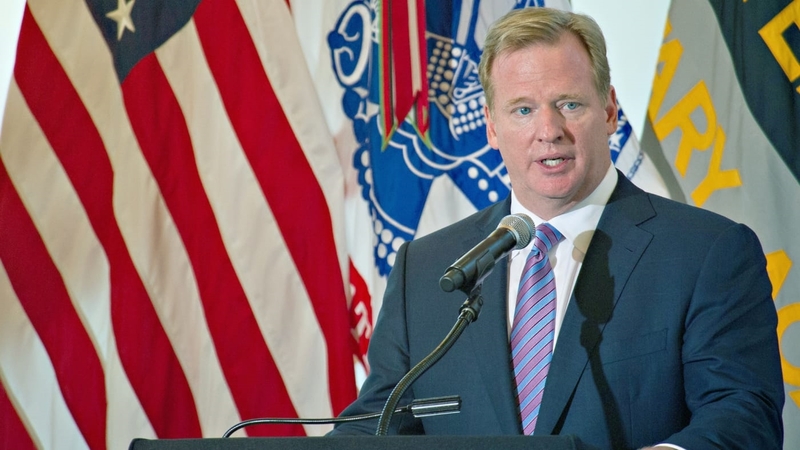 You can read Goodell’s full policy statement here. The protests began with San Francisco 49er Colin Kaepernick, who knelt during the anthem as a way to draw attention to police violence. He was joined by a number of fellow players in the NFL and other professional sports. While the protests sparked criticism right from the outset, President Trump stoked the flames last fall when he called on team owners to fire the players who took part.